2002: Grant of the Comunidad de Madrid for Academic Excellence. 2002-2008: Graduate by the Complutense University of Madrid, Medical School M.D. June 2015 till now: Department of Neurosurgery, University Hospital of La Princesa. Neurosurgery Consultant . Skull base Multidisciplinary Team(MDT) coordinator. June 2015 till now: Neurosurgery Unit NeuroRGS. Neurosurgery Consultant. 2009 – VIII SONCAM CONGRESS. 2010 – IX SONCAM CONGRESS. 2011 – X SONCAM CONGRESS. LOW-GRADE GLIOMAS. CURRENT SITUATION. 2013 – AOSPINE PRINCIPLES COURSE—FRACTURES, INFECTIONS, TUMORS AND SPINE DEGENERATIVE PATHOLOGY. Surgical Treatment of the lumbar degenerative pathology in elderly patients. XVII Congress of the Spanish Society of Neurological Surgery SENEC 2012. Surgical Treatment of the lumbar retroperitoneal neurinoma. XVII Congress of the Spanish Society of Neurological Surgery SENEC 2012. Handling and treatment of fractures of the sub-axial cervical spine. XVII Congress of the Spanish Society of Neurological Surgery SENEC 2012. Surgical treatment of cerebral abscesses. XVII Congress of the Spanish Society of Neurological Surgery SENEC 2012. Validity and reliability of scales in cervical pathology.Superior course in cervical pathology University of Francisco de Vitoria. Navas-Garcia M, Alcazar-Vaquerizo L, Carrasco-Moro R, Pascual-Garvi JM, Gil-Simões JR, Sola RG. [Acute interhemispheric subdural haematoma in a patient with cirrhosis]. Rev Neurol. 51(7):447-8 2010 Oct 1. Delgado-Fernández J, Gil Simoes R, García Pallero MÁ, Penanes Cuesta JR, Blasco G, Pulido P, Sola RG.Morphometrical evaluation of decompression obtained through corpectomy. Heading towards to posterior approaches. Neurocirugia (Astur). 2018 Dec 20. Meningiomas originated at the falco-tentorial region: Analysis of topographical and diagnostic features guiding an optimal surgical planning. 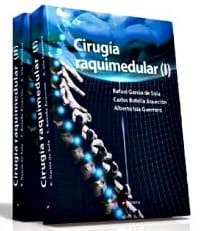 Ricardo Gil Simões M.D.,a and Rodrigo Carrasco M.D.d: Craniopharyngiomas of the third ventricle: topographical concepts of clinical and surgical interest. Alejandra Arevalo M.D.,Ricardo Gil Simões M.D,Rafael García de Sola Ph.D. Cystic Meningioma, clinical case. – Skull Base and Endoscopic Endonasal approaches. – Functional and Epilepsy surgery. – Tractography and White matter tracts. Driving license for Type B vehicles since 2002. Component of the Castilla la Mancha junior futsal regional selection (1999-2002),participating in the national futsal junior championships of these years. Component of the Complutense University Futsal Selection between 2002 and 2008 (as captain between 2005 and 2008). Participating in spanish national university championships in 2004 and 2006.